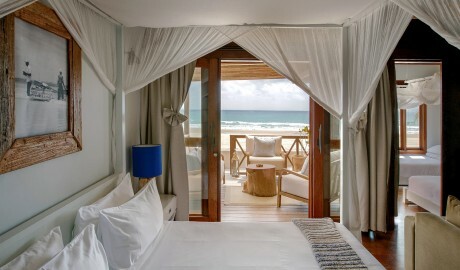 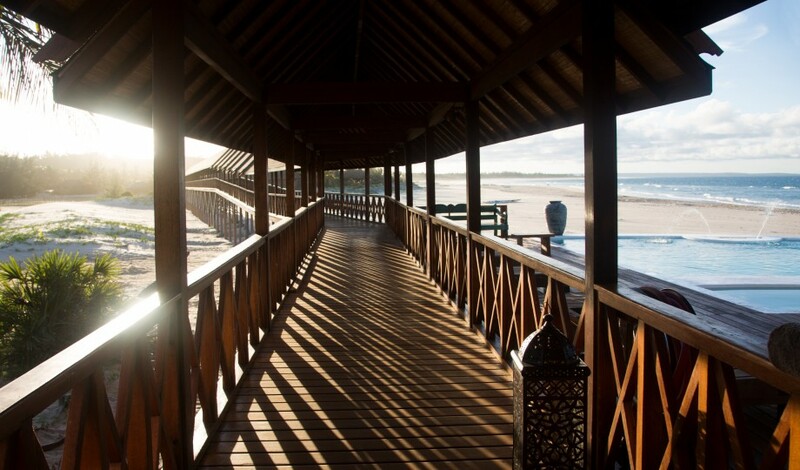 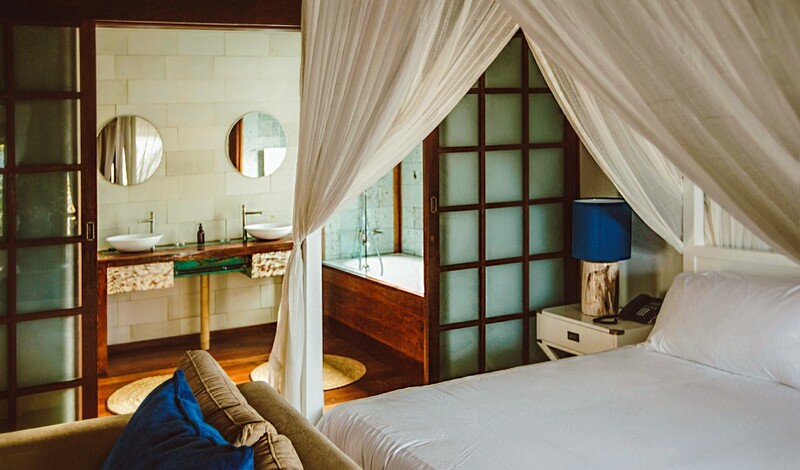 —A fresh take on sustainable design on glorious Barra Beach, Sentidos Beach Retreat is a gateway to Mozambique’s rich flora and fauna, and vibrant culture. 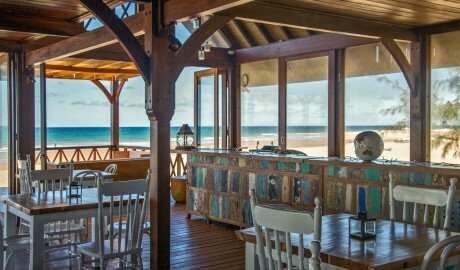 Locked between the turquoise glimmer of a lagoon and the stunning Indian Ocean, Sentidos Beach Retreat on Barra Beach in Mozambique offers you a moment to truly connect with the powerful beauty of nature—it is one of the world’s foremost dive spots—but also provides a laidback but very real slice of this enigmatic southeast African country. 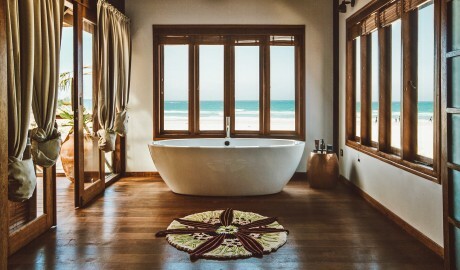 Here, miles of white-sand beach, the beautiful ocean, and a fascinating blend of cultures dictate the interiors, which combine colonial-style furniture and clean lines. Fittingly, the cuisine is a mouthwatering mix of incredibly fresh-off-the-boat seafood, local ingredients, and Portuguese-inspired flavors. 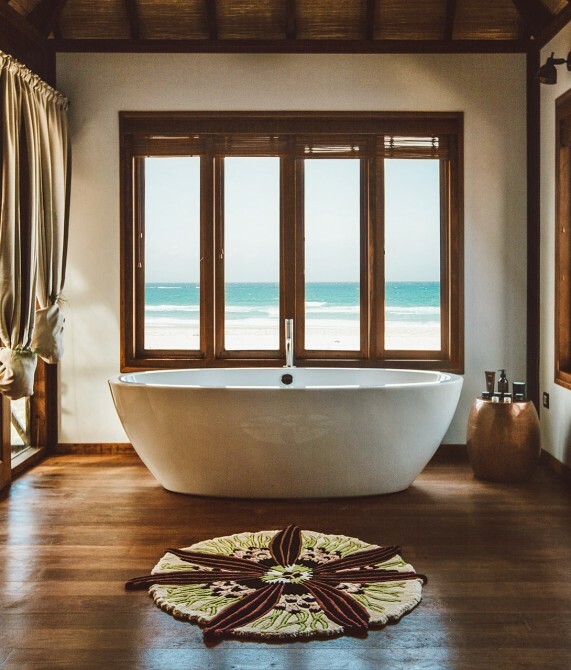 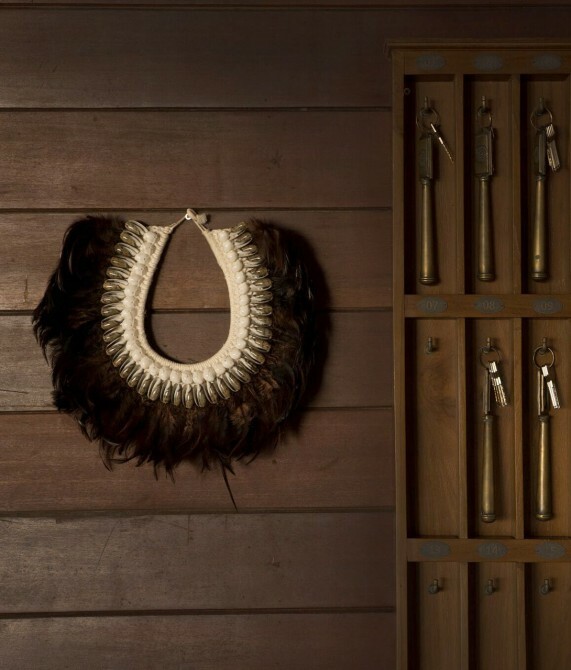 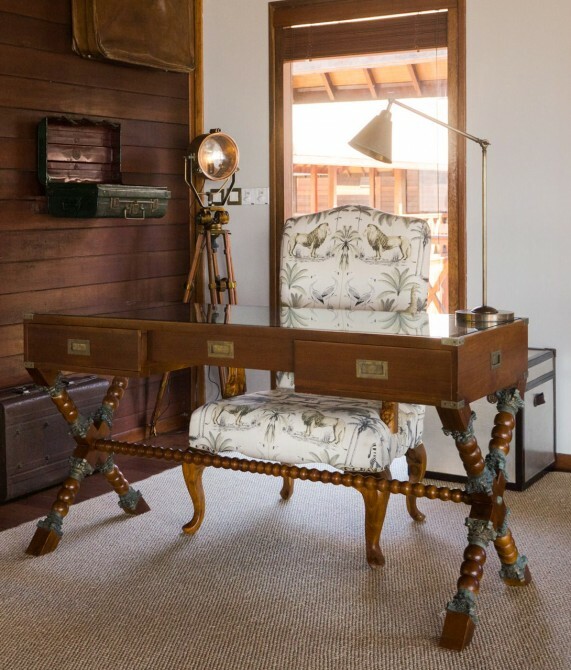 The villa-only property encourages those visiting to get in touch with the surrounding community by showcasing local artists’ pieces at the in-house Aroma boutique as well as arranging trips and adventures of a lifetime. These divinely inspired pleasures include an ocean diving safari with humpback whales; snorkeling with whale sharks and manta rays; kayaking around the mangroves; and sailing in a dhow at sunset. 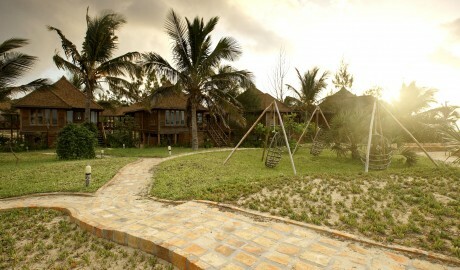 Feel the pulse of this unexplored, unique African country while finding the pace of your heart again. 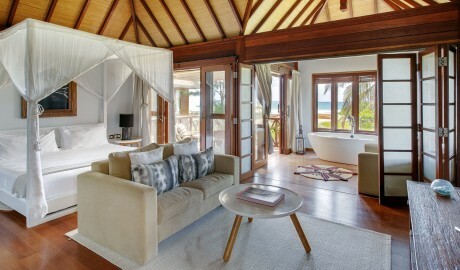 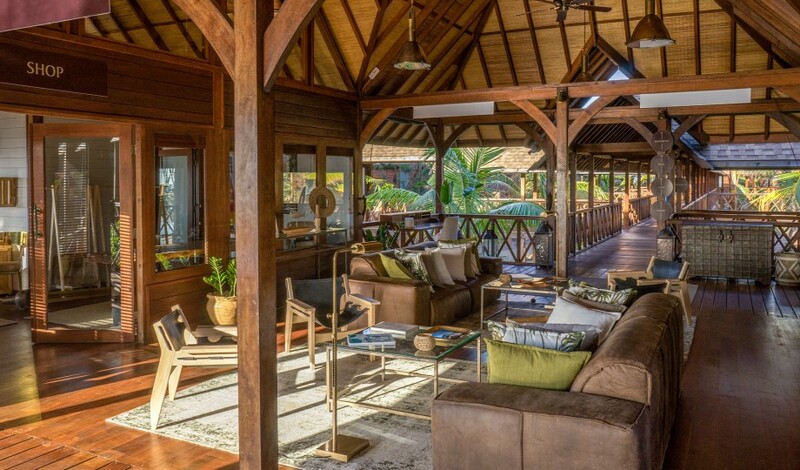 All 12 villas have big windows that frame the Indian Ocean. 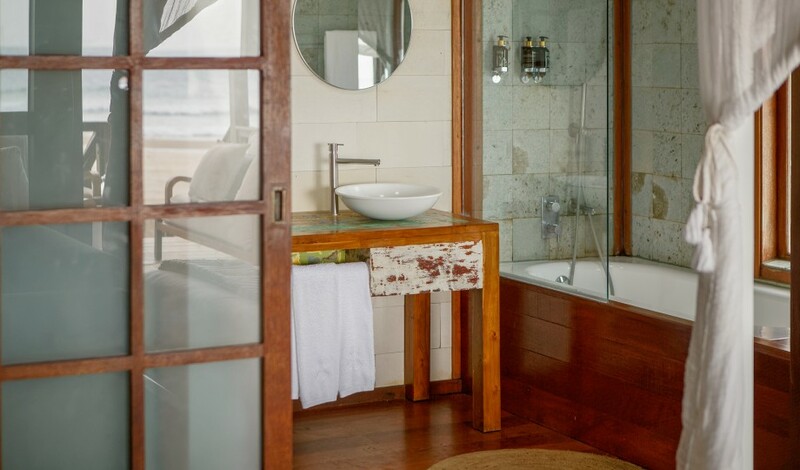 Inspired by African décor, the interiors are swathed in light airy textiles and wood. 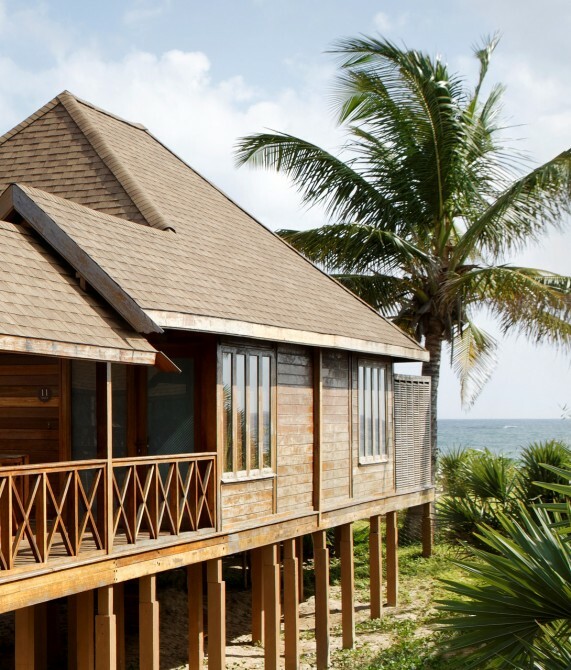 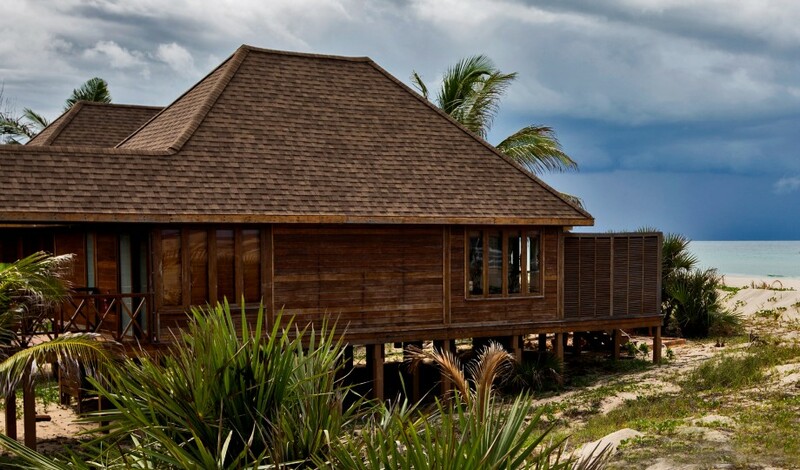 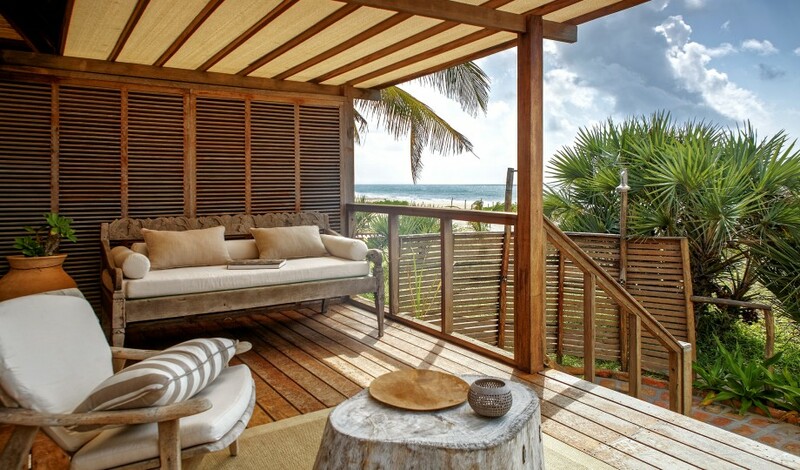 In the ultimate of beachside luxuries, all villas come with a terrace featuring an outdoor shower as well as king size beds. The 54-square-meter Beach Villa boasts a bathtub overlooking the ocean, while the 54-square-meter Family Beach Villa has a second room with two single beds. 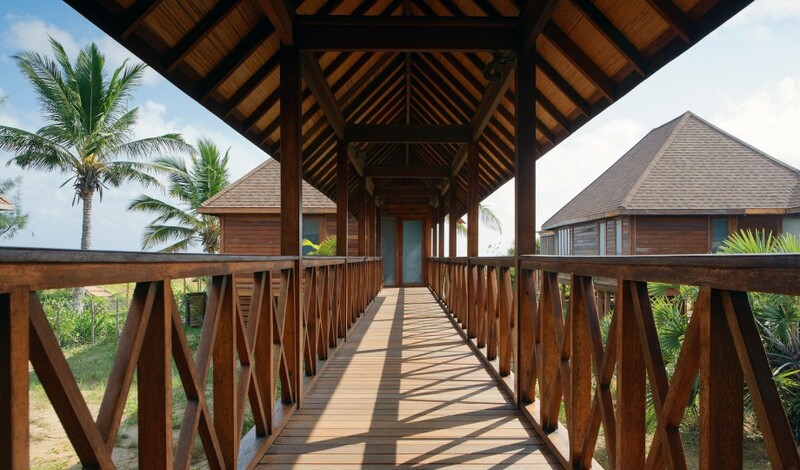 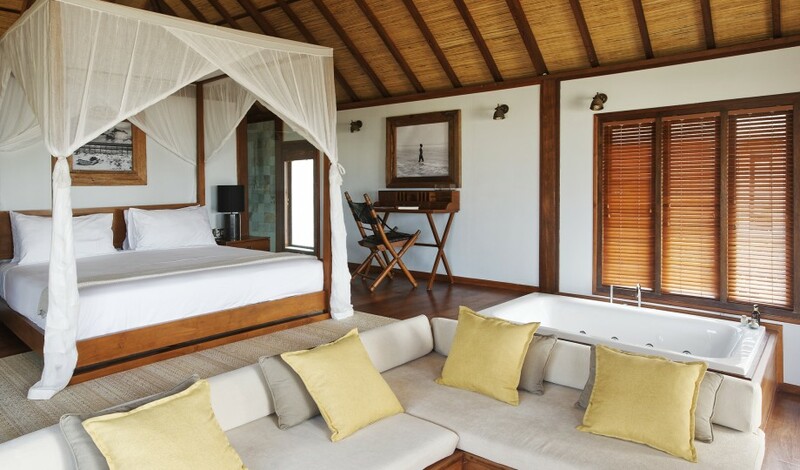 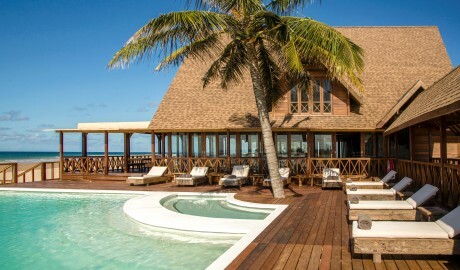 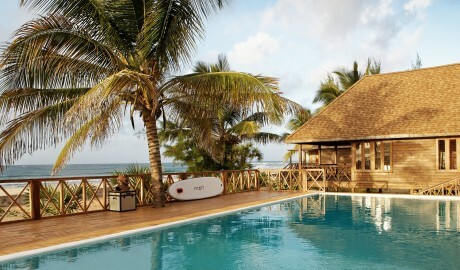 The 68-square-meter Luxury Beach Villa features a Jacuzzi in the room, facing the ocean. 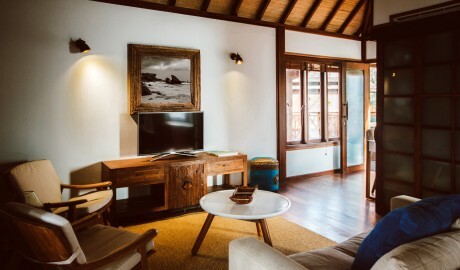 The reception sets the tone for the guest experience at the resort. 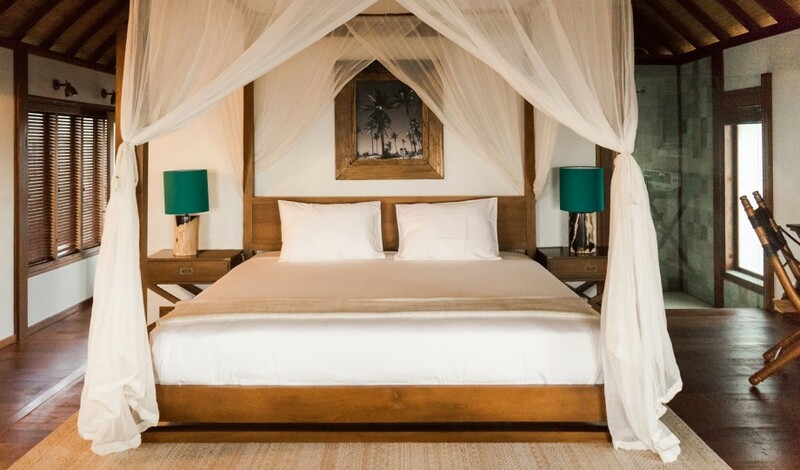 Inspired by luxury safari tents of bygone days, vintage luggage pieces from Africa, India, and Europe have been elevated to art while custom-made furniture spell luxury in an earthy way. 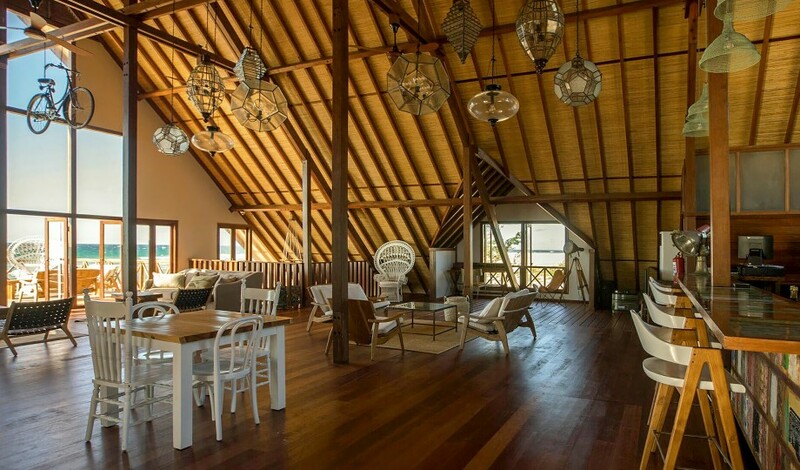 Inspired by Balinese architecture, award-winning firm Oto Arquitectos designed the buildings to be set upon stakes, making the resort seem almost as if it’s floating on the sand while having minimum impact on the environment. 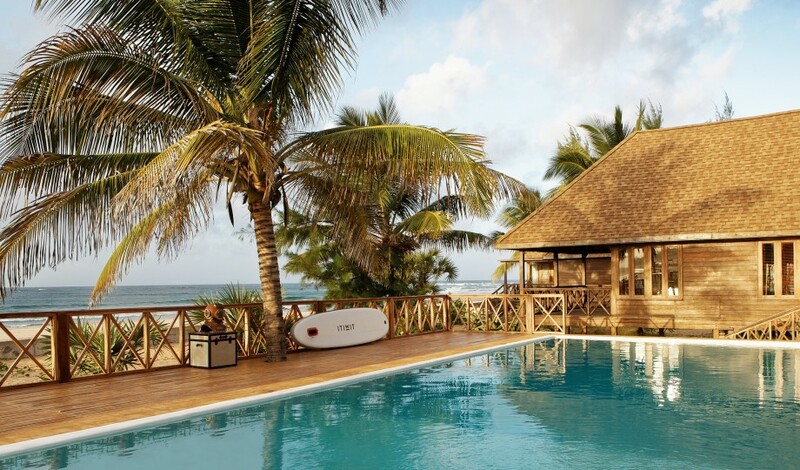 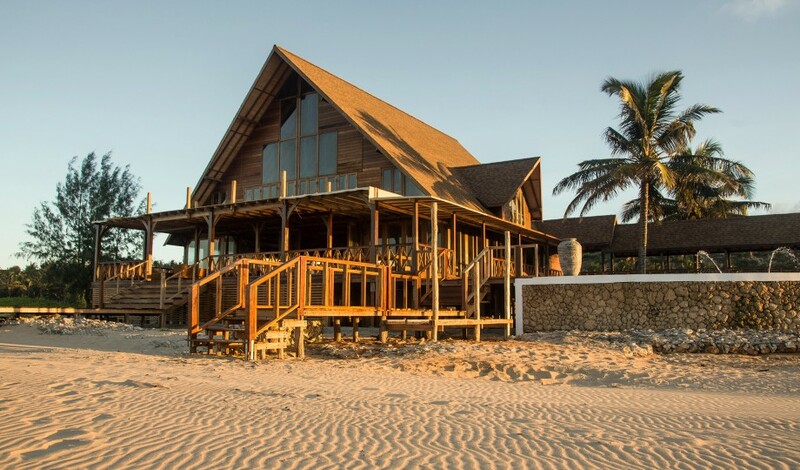 Set in the heart of coconut country, Barra Beach is located in one of the most picturesque areas in Mozambique, with pristine stretches of white-sand beaches, the warm clear waters of the Indian Ocean, and one of the best diving spots in the world.